The great Cuban singer Omara Portuondo is one of the most important guests of the twenty-first edition of the Barranquijazz Festival. 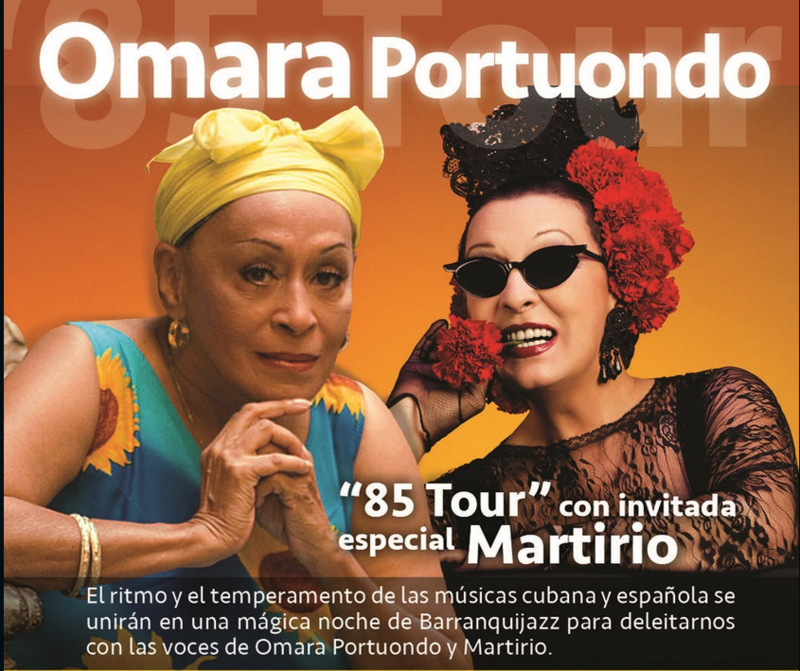 Presenting her latest tour “85 Tour”, Omara will be joined by Spanish singer Martirio. First time Omara was at Barranquijazz was in 2009, with a standing ovation at the end of the show. Bith artists will perform greatest Cuban hits nenxt September 15th. Learn more here.